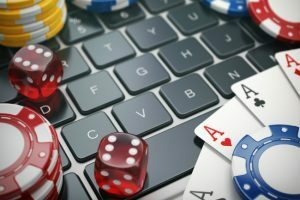 The long-suffering Michiganders who were hoping to be able to gamble online in 2019 had their hopes dashed right before the end of 2018. A few days before he left office, the governor of Michigan, Rick Snyder, vetoed a swath of bills. Some of the bills he vetoed included House bills 4926, 4927, and 4928, all of which would have legalized and regulated both online gambling, and may have opened the door to sports gambling at casinos in Michigan. The decision by the governor, which happened two days before he left office, and 11 days before the new legislative session began, has outraged members of the legislature who labored so hard to get the bill passed. It has also angered gambling businesses in the state, who feel the governor said one thing with regard to the bill, but did another. Critics of the bill, however, praised the governor’s “brave” actions. In contrast to other states of the Midwest, the state of Michigan has dozens of gambling areas. There are both company-owned casinos, and Indian casinos in the state. There are charity bingo halls as well. Michigan has many poker rooms to gamble for those who just want to play poker. The state also has horse and dog racing tracks. The favorite type of gambling in Michigan so far has been the Michigan lottery, which had sold $48 billion worth of tickets since 1978, when the lottery was legalized. Many businesses in Michigan have called for online gambling to become legalized in Michigan for several reasons. First, Michigan is across the border from Canada, where online gambling is legal. Canadians are able to play online casino games, poker, and place parlay sports bets—all online. While it is not legalized in Michigan, people nevertheless take advantage of the ability to play through Canadian services. This means that Michigan is missing revenue that its neighbor to the north is happily taking. Second, Michigan was hoping to become the first state in an area of the country with no online gambling. So far, only four states have passed laws that allow online gambling: Nevada, New Jersey, Delaware, and Pennsylvania. West Virginia appears to be close behind. None of these states are in the Midwest, so Michigan would have an advantage. Third, Michigan businesspeople are hoping that a rise in gambling online will help the state with its revenue issues. While Michigan is in a much better position regarding its coffers since the Great Recession, it is not out of the woods yet. Detroit, which was the center of controversy and corruption, has rebounded. It has managed to rebuild some of its downtown areas, especially since two large casinos opened in the downtown area. The businesses in the area, while rejoicing in the flow of dollars, would like to see even more dollars going towards the state revenue purse. Right up to the moment that Rick Snyder vetoed the gambling bill, legislators expected him to sign it. He encouraged the House and Senate in Michigan to work together on a compromise bill that he would be willing to sign. This was especially true about the inclusion of both commercial and tribal gambling interests in the state, who both had a stake in online gambling. 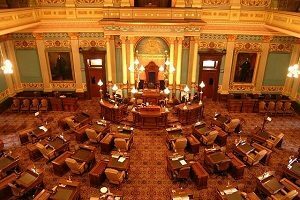 In fact, the online gambling bill nearly stalled in the Senate, but it was the bipartisan effort in late December that got the bill to the governor’s desk in the first place. The governor stated that while he appreciated the efforts from the legislators, he said that he had to veto the bill because of the way it could affect the state budget. The governor stated that he was concerned that online gambling would take money away from the lottery, which is a major source of school funding. It is expected that the Legislature will take up the issue of online gambling, with a new governor, later this month.